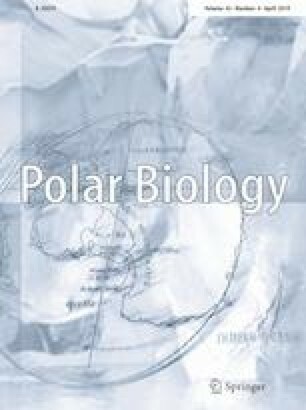 Changes in vegetation biomass have a great impact on many aspects of the Arctic ecosystem, and historical variations of biomass in Svalbard during the Holocene remain poorly understood. In this study, we collected a palaeo-notch sediment profile in Ny-Ålesund, Svalbard, performed organic biomarker and geochemical analysis on the sediments, reconstructed the photosynthetic biomass record during the interval of 9400–2200 BP, and examined the relationship between the photosynthetic biomass changes and Holocene temperature records in the Arctic region. The photosynthetic biomass production in Ny-Ålesund experienced four development periods. It rose steadily at the beginning of the Holocene and became stabilized at a high level during the Holocene thermal maximum. However, the photosynthetic biomass dropped sharply during the mid-Holocene transition. After that, it showed a small peak during the interval of 3000–2500 BP. The historical photosynthetic biomass record is in good agreement with the temperature records: the photosynthetic biomass production increases during warmer periods, and vice versa. Therefore, temperature is likely the driving factor controlling the photosynthetic biomass production. This study improves our understanding of the terrestrial ecosystem and its responses to climate change in the Arctic. The online version of this article ( https://doi.org/10.1007/s00300-019-02493-5) contains supplementary material, which is available to authorized users. The research was supported by Chinese Polar Environment Comprehensive Investigation & Assessment Programmes (CHINARE2017-02–01, CHINARE2017-04–04) and the External Cooperation Program of BIC, CAS (Project No.211134KYSB20130012). Samples provided by the Polar Sediment Repository of Polar Research Institute of China (PRIC). Samples Information and Data were issued by the Resource-sharing Platform of Polar Samples (https://birds.chinare.org.cn) maintained by Polar Research Institute of China (PRIC) and Chinese National Arctic & Antarctic Data Center (CN-NADC). We thank the Chinese Arctic and Antarctic Administration and PRIC for logistical support in field. We also thank the Governor of Svalbard for permission to carry out fieldwork.